It is with sadness and fondness that we announce the retirement of Chuck Anderson. Chuck retired from his duty as one of our premier machine builders, with 40 years of experience, on January 31st, 2017. Chuck has been invaluable in the operations of our company for the past 40 years, first starting with the company on September 1st, 1977. For many years he has been the “go to man” when there was a question about an older machine or just about any panel saw or router we manufacture. He has built thousands of quality machines throughout his career at Safety Speed Manufacturing and during that time he has been one of the best team players in the shop. 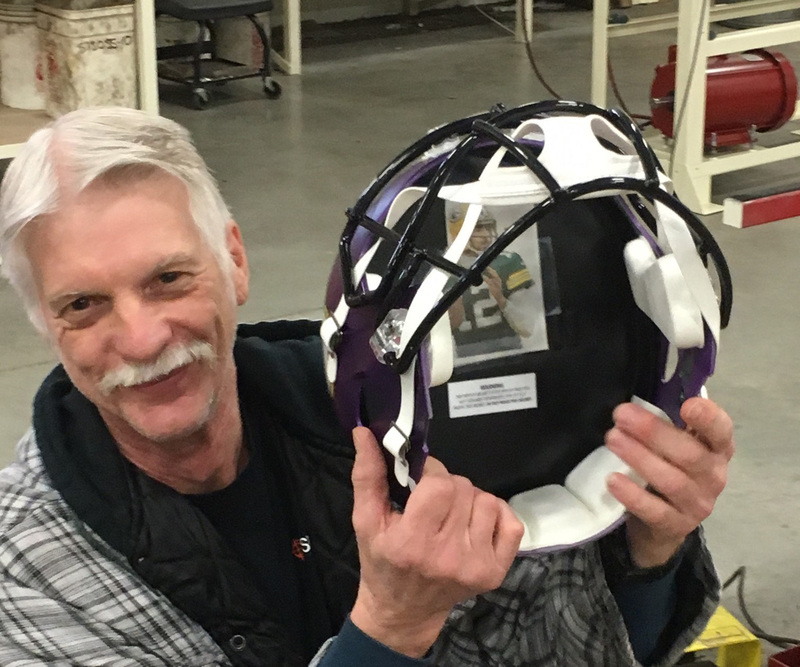 Chuck has made a permanent mark on everyone at Safety Speed Manufacturing, his charm and care for the business will be hard to match. His expertise has not only allowed us to have a more productive and efficient company, but it has also allowed us to expand and better our company, making us one of the leaders in the industry today. Chuck’s easy going attitude only changed when it came to his love of the Vikings, his wall of “glory” or as some of us would say “shame” was a piece of the building for several years. He was as dedicated to building that wall and protecting it as he was to all of us and Safety Speed Manufacturing during his tenure. Chuck plans on spending more time working on the “To Do” list at home and enjoying four wheeling with good friends. There are rumors that we might see him around here from time to time to make sure that we are staying on task and that our workmanship remains the best in the industry. Chuck thank you for all the high quality products, good memories and professionalism that you displayed throughout your years at Safety Speed Manufacturing. We look forward to seeing you from time to time and wish you the best in your retirement. On January 31st, 2017, from 12-1, we had lunch delivered to SSM to take time to recognize Chuck for his years of service. In addition we will have a celebration on Friday, February, 3rd from 3:30 to 5:30 at Kendall’s Tavern and Chophouse, refreshments and appetizers provided.